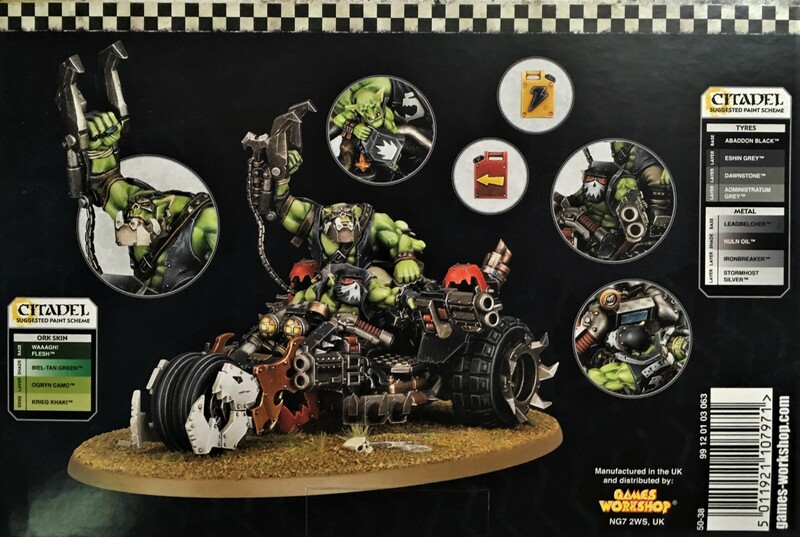 We’ve got our hands on the new Ork buggies and wanted to show-off some of the amazing details of these kits. These kits are inspired to say the least. They have so much stuff going on it can be a little hard to pick-up on all the cool stuff at first. 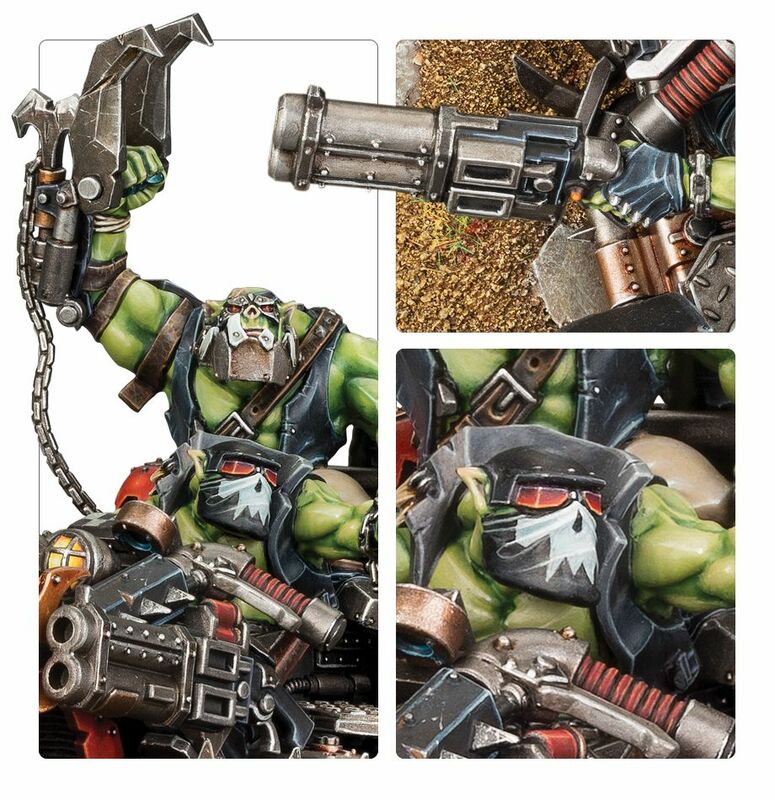 Thankfully, GW has a primer of what to look for on the boxes of these awesome kits. Weapons and chrome! The Deffkilla Wartrike is going to be a big hit for the Speed Freek crowd. 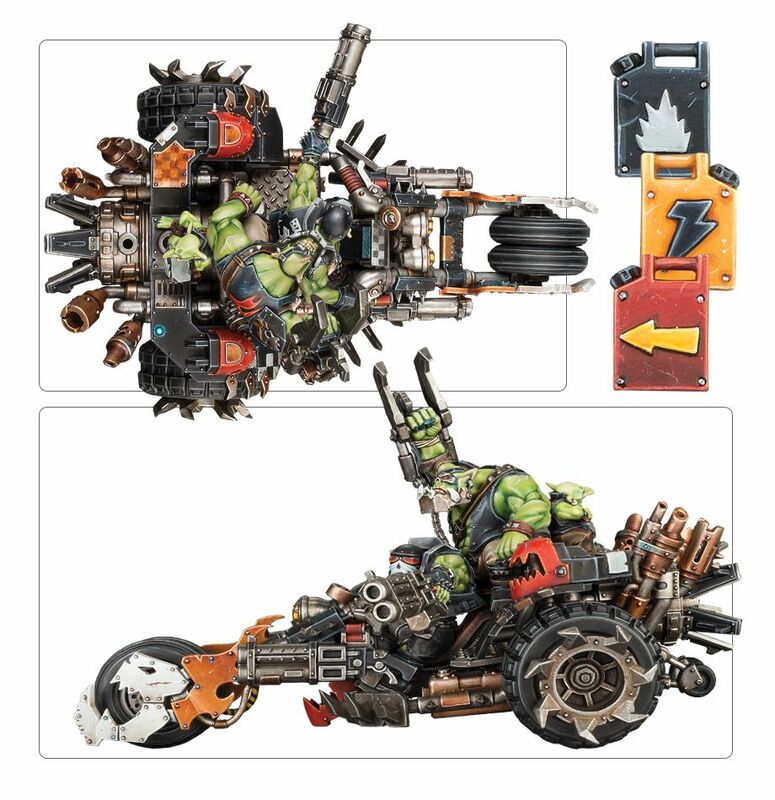 If you are wanting a mobile ork fighting force, it all starts with this kit. 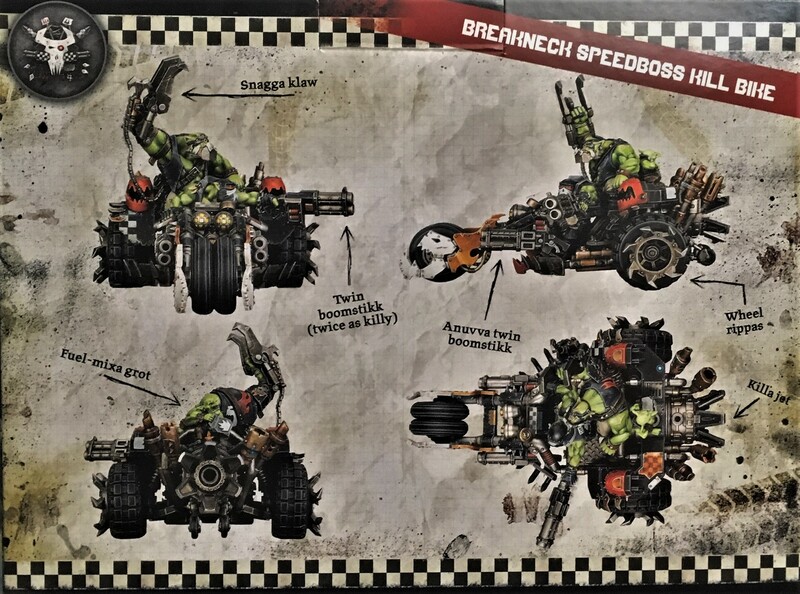 Built like a dragster, this Wartrike has guns, claws and Orky-ingenuity all over the place. 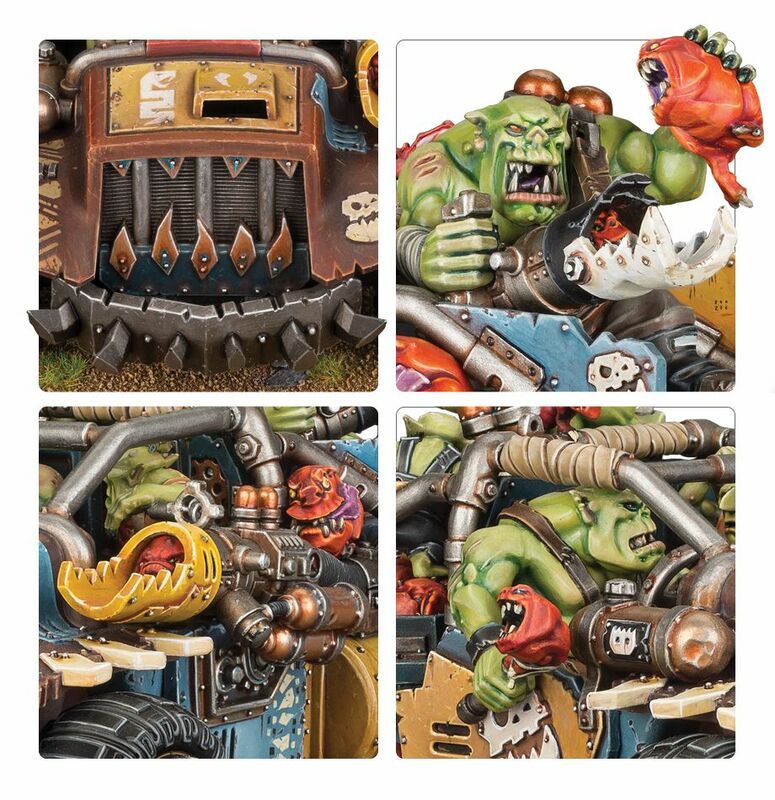 The Rukkatrukk Squigbuggy probably has the best back story. 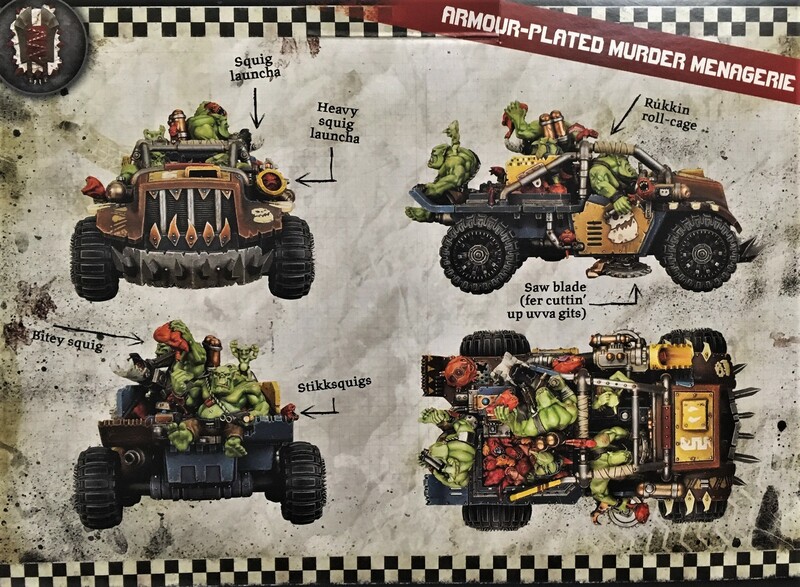 Originally conceived by a pair of entrepreneurial orks, this vehicle was supposed to allow them to keep up with racers to deliver food. 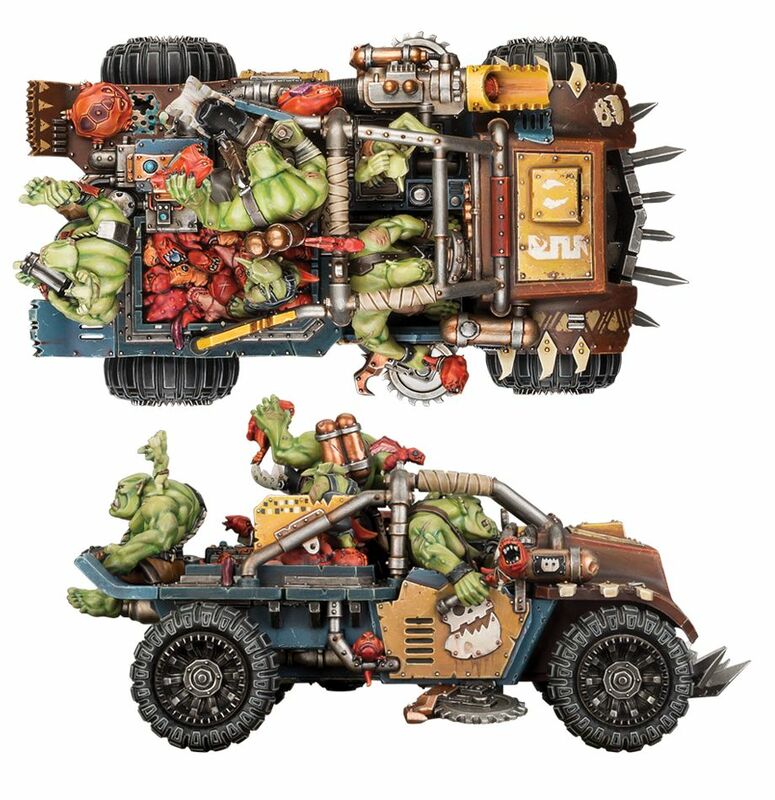 However, a few engine upgrades and a food delivery mishap later, this mobile food trukk became a squig-launching death machine! Now it’s got even more squigs on the menu as well as a squig landmine to unleash! 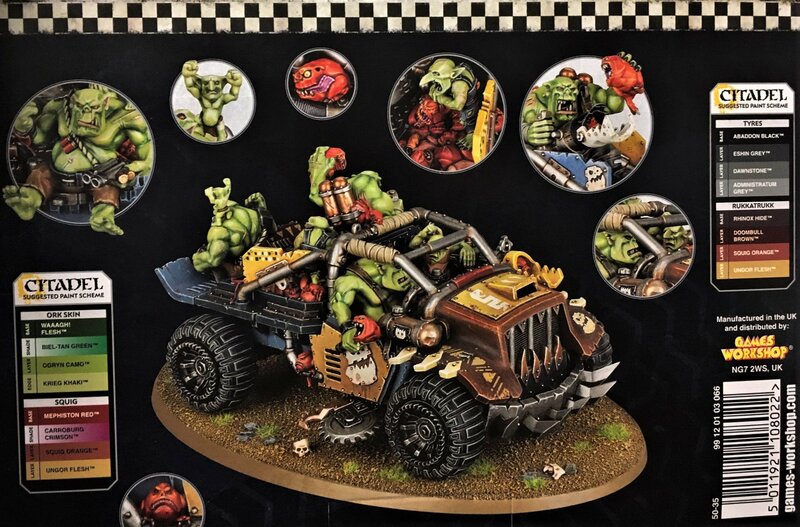 This is meals-on-wheels, orky style! These Kits are up for pre-order this weekend. 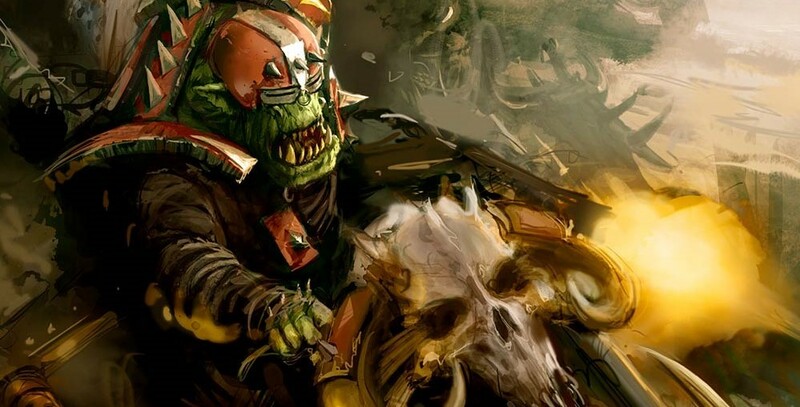 Gork be pleased!